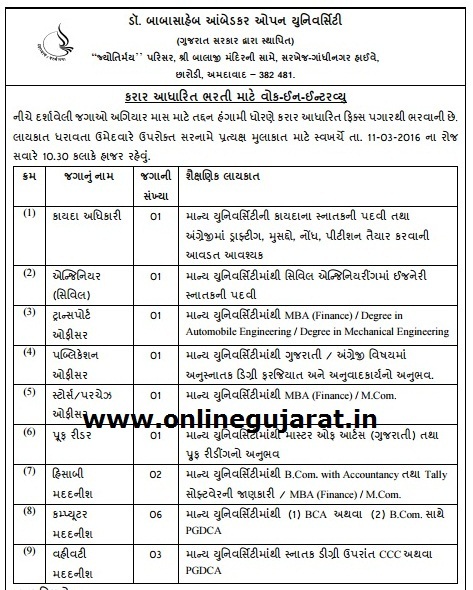 Dr. Babasaheb Ambedakar Open university (BAOU) , Ahmedabad has published a Advertisement for recruitment of Various Posts 2016. Check below for more Details. Education Qualification : See In Notification . Address: "Jyotirmay " Parisar , Shri balaji Mandir Same , Sarkhej-Gandhinagar Highway , Ahmedabad- 382481.